We’re back! On the second episode of the Way Too Indiecast this week we welcome the biggest guest we’ve had on the show thus far, Hugh Jackman! 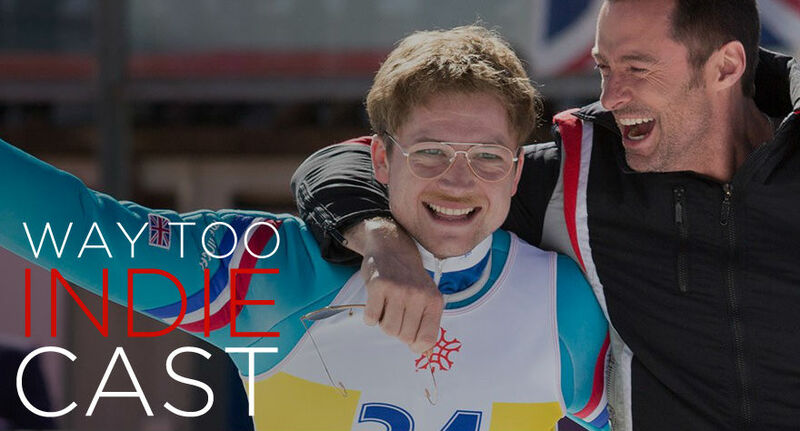 He, Taron Egerton and director Dexter Fletcher are talking about their new film, Eddie The Eagle in a particularly unique interview environment. Also, good friend of the show Christopher Jason Bell sits down for a snack-‘n’-chat with Bernard to talk about what it’s like to be an independent filmmaker presenting a movie at a film festival and conducting a Q&A with a (sometimes tiny) audience. On top of all that, Bernard and CJ share some brand new Indie Picks and talk about their favorite movies based on inspirational true stories. It’s a packed show and we’ve still got more Indiecast awesomeness coming your way tomorrow when John Hillcoat and Breaking Bad‘s Aaron Paul join us to talk about their new film, Triple 9! See you back here in 24 hours!